26JUN18 - MADRID.- An 85-year-old doctor will become the first person to stand trial for Spain’s dark and painful ‘stolen babies’ (ninos robados) scandal this June 26th. 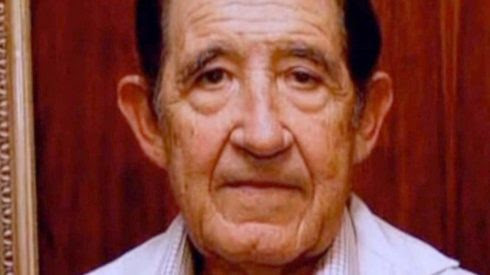 Former gynaecologist, Dr Eduardo Vela, will appear in a Madrid court for allegedly abducting a newborn baby, Ines Madrigal, from her mother almost 50 years ago. Madrigal is just one of thousands of babies who were cruelly stolen from their birth mothers and placed with Nationalist-supporting families during the Franco regime. Campaigners believe around 300,000 babies were snatched and sold in an illegal practice which began shortly after the end of the Spanish Civil War and continued until 1990. Among the victims were single mothers, women from deprived backgrounds and Republican supporters. Vela, who worked at San Ramon clinic in Madrid, could be facing 11 years for the abduction and illegal adoption of Madrigal in 1969, who was handed to a 46-year-old sterile woman. He also faces charges of falsifying documents and certifying a non-existent birth. Madrigal decided to find out more about her biological mother after her mother told her the truth at the age of 18 and had supported her campaigning ever since, she told the Guardian. The now 49-year-old told the Guardian she does not expect to gain closure from the two-day trial but hopes it will expose thousands of cases that to this day have been ignored. “Obviously I don’t think that Eduardo Vela is going to tell me the truth,” Madrigal told the Guardian. It comes after a nun, sister Maria Florencia Gomez – who also worked at the San Ramon clinic – was the first person to be investigated in the scandal and was due to stand trial in January 2013. However, she did not attend for health reasons and died just four days later.